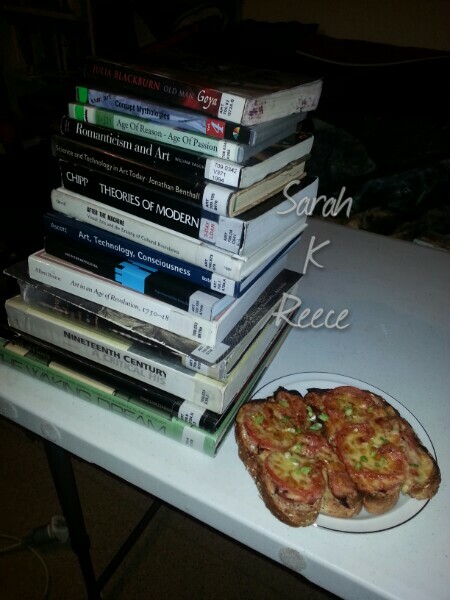 Then I’ve got to skim through this stack of books and write an outline for my art history essay that’s due in a week. Oh boy. I’m really not sure how I’m still on my feet. And I’m really not sure about my crazy plans for more time spent in higher education! Oh boy oh boy.